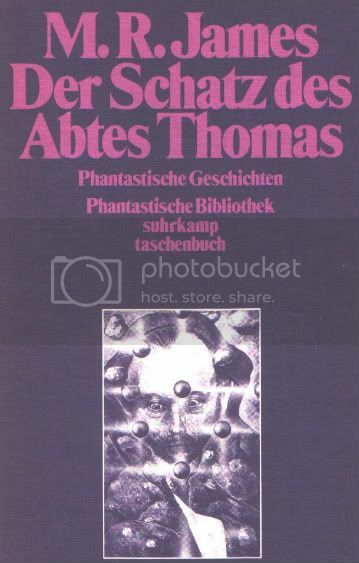 Speaking of covers, here is a german edition of James. 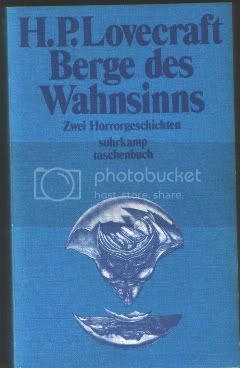 This is an original collection, btw, first published as a hardcover in 1970 by Insel, then reprinted as a paperback in 1979 by Suhrkamp. 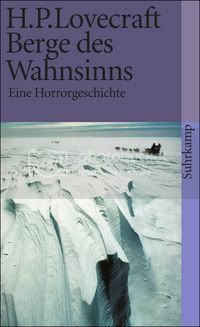 Publisher Suhrkamp was and is mainly a publisher of literary writers, of culture, so to speak. Their line Die Phantastische Bibliothek published only writers who withstood the test of time and critics. Apart from meaningful science fiction by Stanislav Lem and the Strugatzki Brothers - sf for those who wouldn´t be caught dead with an E.E. 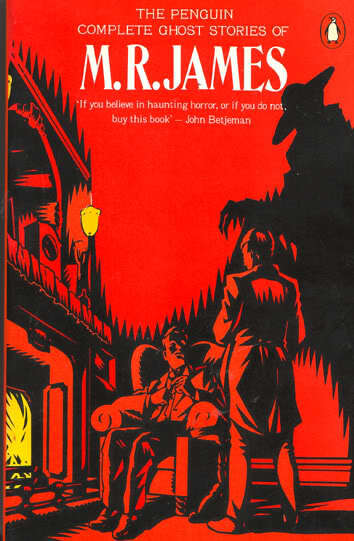 Doc Smith - they did Ambrose Bierce, the complete Lovecraft, Algernon Blackwood, Hodgeson (the marine tales) and C.A. Smith. As I wrote this is an original collection, picked from half a dozen sources. I tend to make fun of the stuffy design and the high-brow attitude, but back then they served an importent function, as their translations were always more careful than the mass market pulp stuff and they published writers which would otherwise never would have found their audience. Today they keep Lem and Lovecraft in print. And the covers are a little bit more modern. A little. As an example, here is Lovecrafts At the Mountains of Madness, the first from 1975, the second is the current edition. I bought MRJ's stories (for the umpteenth time) in the Penguin Classic paperbacks series (in 2 volumes) when they came out a few years back - nice covers (sorry can't upload images), and interesting/informative annotations by Joshi. Hopefully those will do me for the foreseeable. Not able to check just now but I'm fairly sure you're right about it being Atkinson Grimshaw and I believe the painting is called "Moonlight Walk". I think I had the Coleridge quote in my head because I seem to remember James quoting it in one of his stories but can't remember now which one. "Mr Humphreys and His Inheritance" possibly? Can't find any fault with this, more recent effort either... what a lovely jumper! And very fitting too (I mean fitting as in 'apt', not in 'snug'). 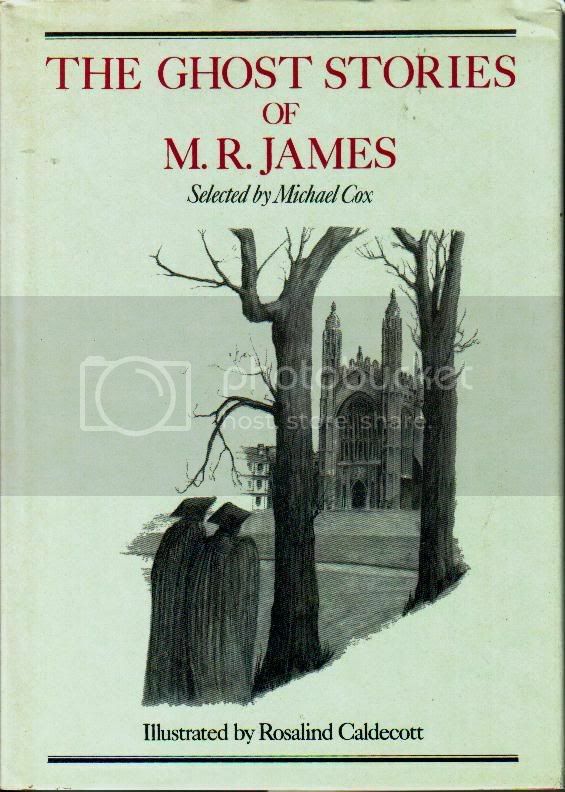 One of the things I've always liked best about M. R. James is how he can make the hairs stand up on the back of your cardigan. Check this for a bargain from Amazon. 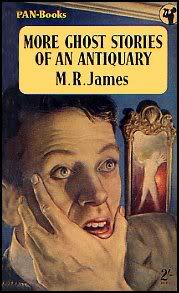 M. R. James' Complete Ghost Stories in the Collector's Library Hardcover for £5.99. "Such a nest of catarrhs and agues was never seen." 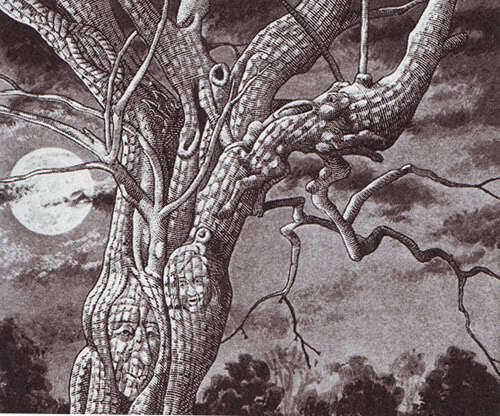 The Ash Tree as illustrated by Bill Sanderson for The Radio Times, December 1975. The Ash Tree: Castringham Village, Suffolk, 1690 and Mrs. Mothersole is hauled before the Assizes, accused of witchcraft. Her denouncer, Sir Matthew Fell of Castringham Hall, is adamant he caught her half-dressed and acting strangely up his ash tree. When he tried to apprehend her, she'd vanished, doubtless having transformed herself into the white hare he spotted scampering in the direction of her cottage. Sir Matthews influence counts for plenty and despite the best efforts of the parish farmers who petition on her behalf, Mrs. Mothersole is found guilty and hung at Bury-St.Edmunds, exiting in a volley of angry expletives and the prosaic warning "There will be guests at the hall". Shortly afterward, Sir Matthew is found dead in the West Chamber, his body swollen and blackened as though he's been poisoned, but the culprit is never identified. Things are quiet at the Hall until Sir Matthew's grandson, Sir Richard inherits the estate and sets about sprucing things up. He gives the go ahead for a series of exhumations from the graveyard (a no-no up there with seeking out obscure books and renovating the church) and no surprise to the reader when it's learned Mrs. Mothersole's corpse has gone AWOL. To make matters worse, he issues orders for the ash tree to be felled as it's hideous and blocks out the light to the West Chamber where he's taken to sleeping. Eventually, it's an upset lantern rather than an axe which does for the tree after a nasty incident involving a cat, and, as it goes up in flames, the "guests" - scores of bloated, grey haired evil spiders - emerge from the hollowed trunk while the current whereabouts of Mrs. Mothersole's skeleton are finally revealed. For some reason, I'd managed to somehow not read "The Ash Tree" despite having the collected stories for years, so my first encounter with it (that I recall, as I'd seen and forgotten the details of the Robert Powell series) was when Christopher Lee read it on BBC2 during his all-too short "Ghost Stories for Christmas" series. 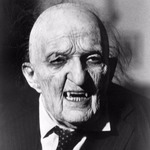 And I can still remember the creeping feeling of dread at the nape of my neck when Lee gravely revealed what had been lurking in the old tree. MRJ intended a similar horror to surface in his unpublished story "Speaker Lenthall's Tomb", an incomplete version of which appears in the G&S Newsletter Issue 7 (more complete than the version previously published in "The Fenstanton Witch"), which probably predates "The Ash Tree" by a few years. I think Senate were a forerunner of Wordsworth who knocked out some decent, mostly supernatural 'non-fiction' cheapskate reprints - Montague Summers's The Vampire: His Kith & Kin and Baring-Gould's Book Of The Werewolf to name but two - but why anyone would want a Selected Ghost Stories Of M. R. James without even the briefest excuse for an introduction when the Complete Ghost Stories have long been available in budget editions is hard to fathom. It says plenty for M. R. J. 's enduring appeal that Senate reprinted this in 1996! For the record, this includes everything from Ghost Stories Of An Antiquary and More Ghost Stories Of An Antiquary but nothing beyond. Senate were a very odd publisher. 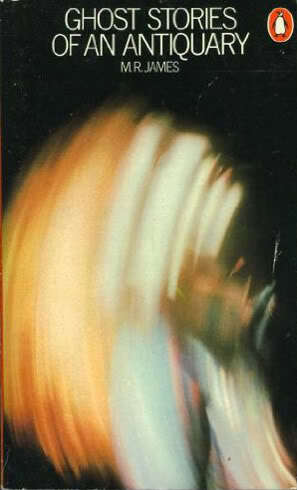 They reissued Rollo Ahmed's book on Magic with an intro by, and a style suspiciously similar, to mr Wheatley. I also had a couple of really nice books on Cottage and Church architecture from the '20's which have long since gone, with wonderful draughtsmans drawings. And a book on pub signs from a similar era. 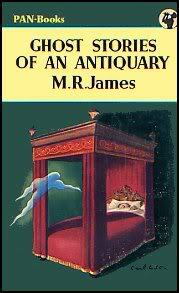 I suspect the reason the James had no intro was because it was a straight print from an old edition when he was still alive - all their stuff seems to be taken from scans or sets of old plates, which was part of their charm - real 20's&30's typesetting and layout! I've got a collected poems of Wm Blake from Senate picked up this year which is the same - a 1927 edition (he says without checking - but thereabouts) with intro from the period and gorgeously set and laid out - very easy on the eye. I seem to remember you could get their editions from National Trust shops, for some odd reason, though I don't recall seeing them anywhere other than there or charity shops. 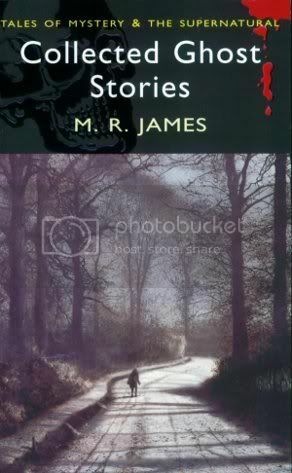 Emblazoned above the first story in the Selected M. R. James Ghost Stories is a nice big 'The Collected Ghost Stories Of M. R. James' which tends to bear you out! They used to have a decent selection of Senate's in 'Lovejoys' on Charing Cross Road and similar discount/ remaindered specialist outlets, and i had the Baring-Gould one from the library. Then it was like they all vanished overnight. 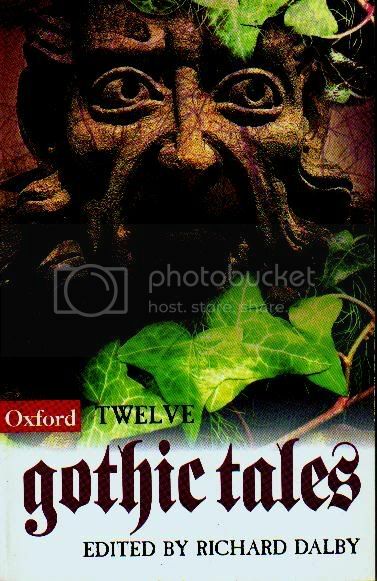 This has all the usual collected stories, plus less frequently included tales like 'The Experiment', 'The Malice of Inanimate Objects' and 'A Vignette', as well as MRJ's fantasy novel for children, 'The Five Jars'. 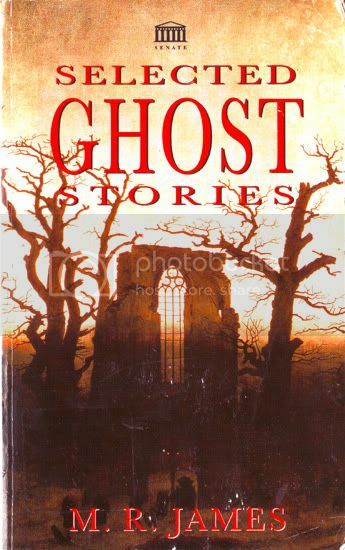 Quite a nice edition, though the James MacBryde illustrations are badly reproduced, and they've left out 'Ghost Stories I've Tried To Write', which is a favourite part of the other collected editions for me. 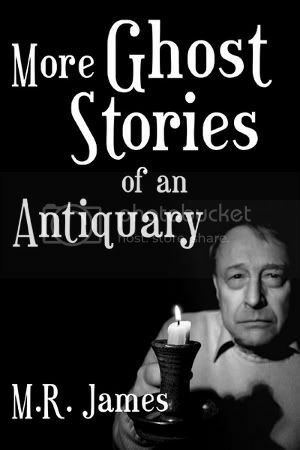 It's nice to have a collection including 'Jars' without lugging Ash-Tree's 'A Pleasing Terror' about, but it'll probably be my old £1 Penguin Collected Ghost Stories that accompanies me more often. The publisher, Leonaur Ltd, seem to have quite a range of (out of copyright) Ghost story collections - though their 'M.R. James' Dark Choices' series, featuring stories 'endorsed by the Master of the Genre' appear to have been selected by going through MRJ's essay/letter on supernatural fiction and grabbing titles he mentions in passing. I always find the last stories (Rats, Wailing Well etc), frankly awful. His attempts at pseudo-humour have overtaken, for me, any other potential the ideas might have possessed. Even A Warning To The Curious itself is rather tedious and by-the-numbers. But as soon as you reach (going backwards) Two Doctors, and...wait, lemme check the wording: 'The Story Of A Disappearance And An Appearance', it just lifts off into perplexing horrid brilliance. 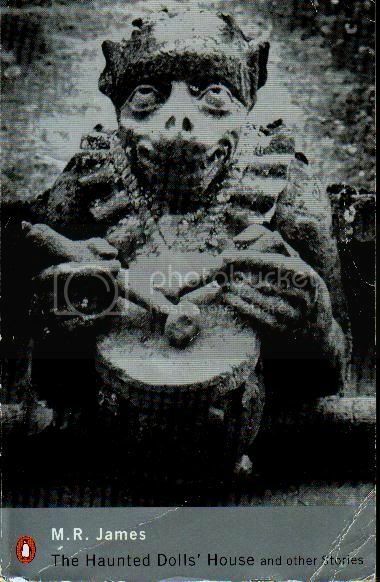 It seems to me the only modern writer who resembles MRJ is Ramsey Campbell - because no-one else pulls off the casual, blink-and-you-miss-it tone of voice, the gradual build of details none of which are frightening in themselves, the description not of the evil per se but of how the evil is perceived by the character, the illogical manifestations, and the disarming humour. Both of them conjure images that are weirdly funny while also horrible; a tricky thing to pull off. And they both display enough PGWodehouse-ish wit and characterization that you can be sure the jarring humour is completely deliberate. All of which is a long-winded way of saying that the following is, for my money, the best cover of all. It conjures the mischievous, cheeky spirit of MRJ more than the usual bland trees and architecture.